It is time once again to shine the light down on an awesome crowdfunding project from the popular Kickstarter website. This time, we see a hybrid of sorts from one of my favorite comic book authors. 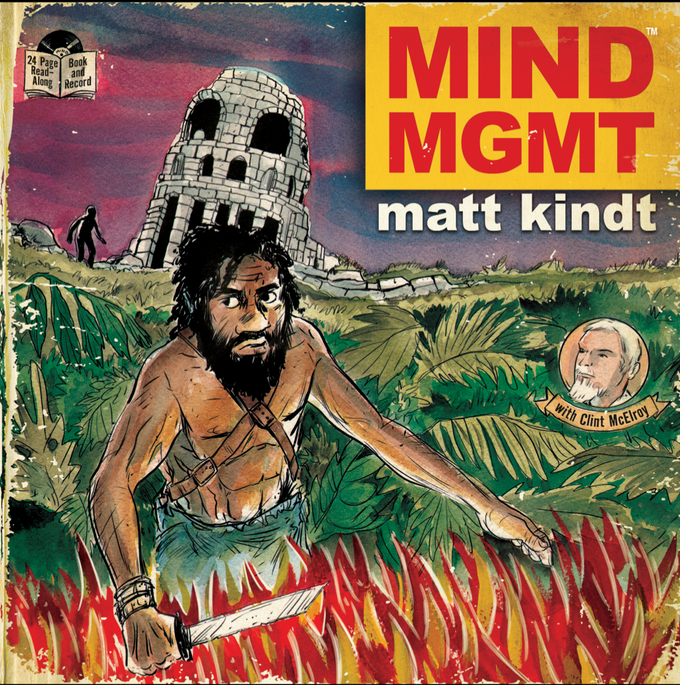 Get ready to read along to Matt Kindt’s MING MGMT. The project has only been up for a few days, but it has already blown through the goal needed. I backed it, and cannot wait to get my book with a gold record. It’s an ambitious outing, as we haven’t seen a read-along comic book before, and we really haven’t seen one with an actual record. The nostalgia to it all is very appealing, as seen with the response so far. I highly recommend you check out this Kickstarter, as it looks to be an amazing amount of fun. Check out the project at https://www.kickstarter.com/projects/1266952446/mind-mgmt-comic-book-and-read-along-vinyl-record.